Enter code DC360 at checkout. 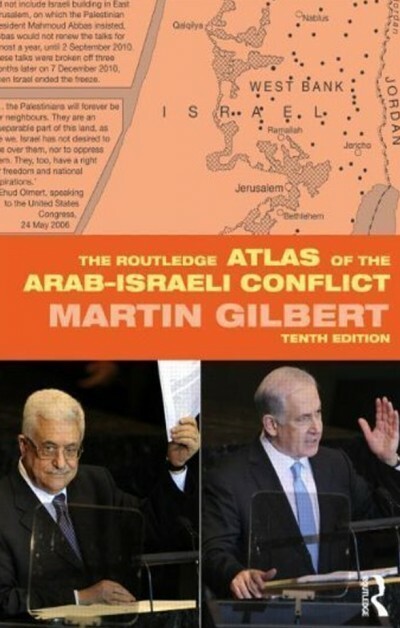 The Arab -Israeli Conflict Atlas traces the tangled and sometimes bitter history of the Arab-Jewish struggle from the early Twentieth Century to the present. It also illustrates the current moves towards finding peace, and the efforts to bring the conflict to an end through negotiation and agreed boundaries. In 227 maps, the evolving history of the conflict is graphically portrayed, including the prelude and background to the conflict, the Jewish national home, the intensification of the conflict, the State of Israel, and the moves to find peace. “In this atlas I have traced the history of the Arab-Jewish conflict from the end of the Nineteenth Century to the present day. I have tried to show something of the nature and range of the conflict, of the types of incidents that it provoked, and of the views of those involved in it.